Inspired by the New York cityscape and architecture, the Lincoln Save the Date Envelope with Liner features an offset windowpane pattern. The liner is flat printed single-sided on text weight stock with a subtle eggshell textured finish. 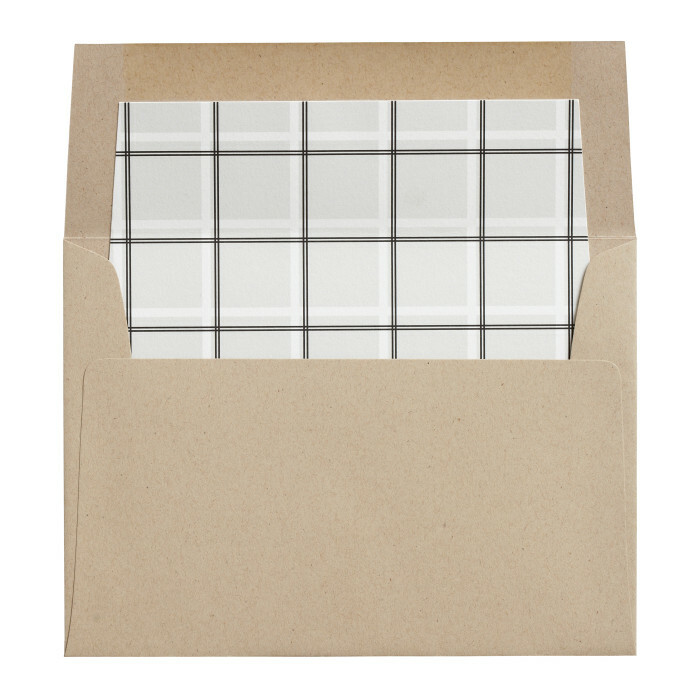 Envelopes are a natural color with a speckled finish. 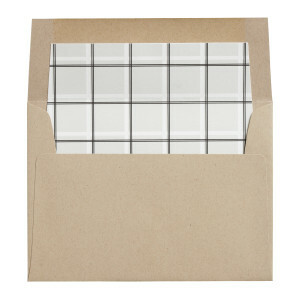 $637 for 100 flat printed Liners with matching matte colored Envelopes.